ICO Concertvr – Rewarding Creativity! Discussion in 'Altcoins' started by Djlakhany, Oct 14, 2018. Any country or society that wishes to progress and have a sustained growth must never neglect its youths. The youth remains the pivot of any society and everything possible should be done to keep them focused and productive. A country with a focused youth is comparable to a country with a bright future. However, raising focused and productive youths does not happen by accident but takes a deliberate effort. There are several ways to keep the youths from being distracted. One of such ways is through the power of music. That is what ConcertVR seeks to achieve! 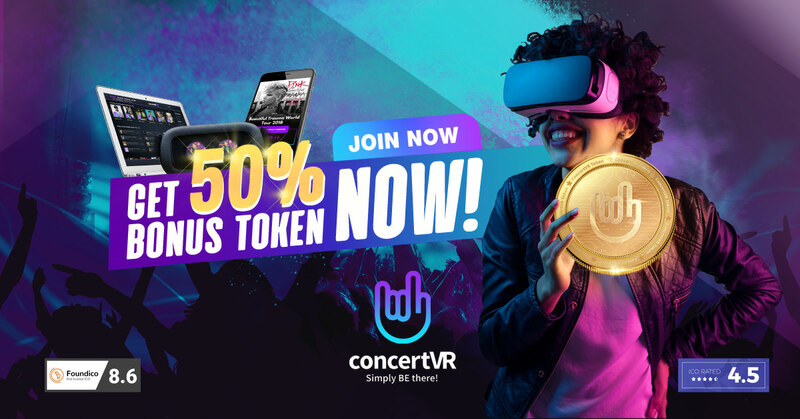 ConcertVR - The first blockchain based cross-platform marketplace for high-quality VR content from the music and entertainment sector, their aim is to get the youth actively involved and do so in an interesting way. But why are they laying their emphasis on the youths? Youths are highly active and can easily be distracted if there is nothing to keep them engaged. But with ConcertVR, the youths can now be brought closer to what appeals to them – music. How do they help the youths? • They enable users to enjoy real concerts in Virtual Reality. With your time of choice, this can be made available on demand or in realtime. • Youths can enjoy the contents across any platform after it is purchased. You can enjoy it on VR glasses, Smartphone, SmartTV or browser. • You also have to decide the camera perspective from which to enjoy the concert. 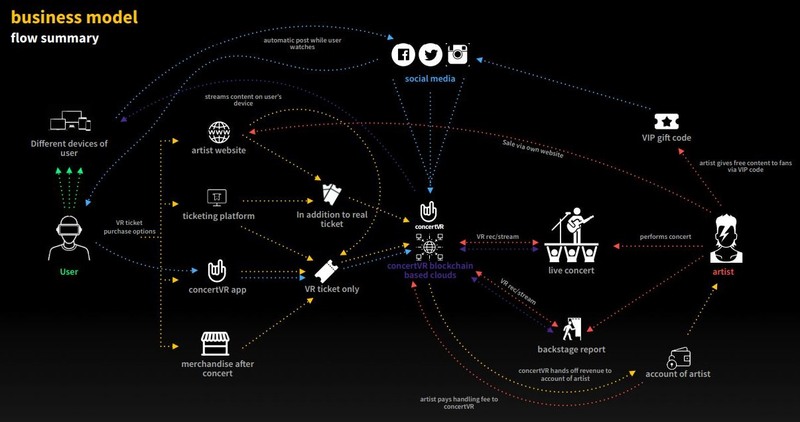 • Inform your friends via the social media about the concert you are watching. • Directly invite your friends while the concert is ongoing and also chat with them. • Put their VR content in the marketplace and personally retain their copyright. ConcertVR does not share or take over your copyright. • Sell an unlimited number of tickets without experiencing a live concert sell out. • ConcertVR offers both recording of live concerts and live streaming on the artist’s behalf. • As much as possible, they help provide adjustment of prices and descriptions of content that are never interrupted. Youths are easily distracted or discouraged when there is nothing to keep them busy. Besides, they also get attracted into crimes and other vices. Their high level of energy needs to be channeled into something meaningful and more rewarding. This program is run by *CMAS Solutions. * They are a new Marketing Research Firm and they conduct product data information for their clients. They are looking for Product Testers. As a Product tester you will sign up for the clients Web Domain product and create a domain. You will not actually use the domain. It will be used to create and test a website by another group of people. So the domain name doesn’t have to be anything special. There is no personal information needed to do this. The only thing you will need is PayPal to receive payment. The only information you will give is the username and password for the websites. That user name and password is then given to Mr. Charles Williams as proof and verification that you completed the steps. The first paycheck is paid out to you 30 days from the time of getting your first sign up. That is to make sure that all sign ups are true and legit. Too many people were making fake accounts and giving invalid information. Now so that everyone is not left in the blind. There is a monthly fee for the website. $22/mo that will be either taken from your commission or covered by the company. They are updating everything and making changes to benefit you all. I don’t want anyone stating that it wasn’t mentioned. 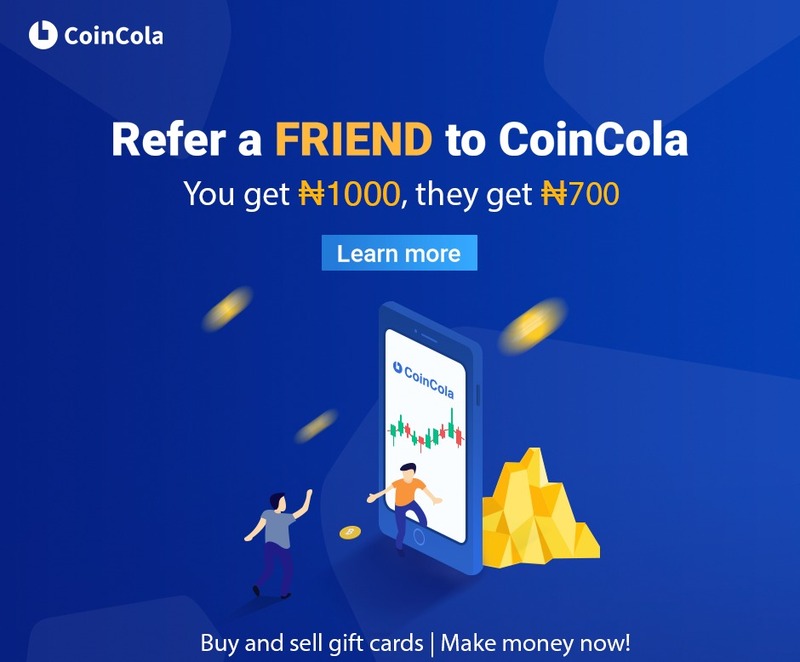 One referral alone covers first monthly payment and then some. -Be sure *NOT* to click the box for special! I CAN ALSO HELP YOU CREATE A FULLY FUNCTIONAL PAYPAL FREE OF CHARGE!